New - DUO KABUKI / BLENDING SPONGE - Multi-purpose application tool - LB - NEW FOR SPRING 2019! 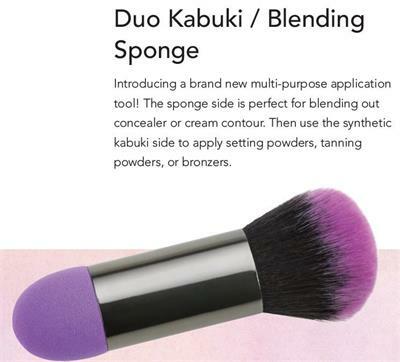 Home > Makeup > Face > Powders & Bronzers > New - DUO KABUKI / BLENDING SPONGE - Multi-purpose application tool - LB - NEW FOR SPRING 2019! Introducing a brand new multi-purpose application tool! The sponge side is perfect for blending out concealer or cream contour. Then use the synthetic kabuki side to apply setting powders, tanning powders, or bronzers.